Many people would love to have a garden and grow their own fruits and vegetables. The benefits are endless! It is a simple way to gain access to organic foods, cut down on one’s grocery bill, and gardening is fairly easy. However, inconvenient space restraints make that impossible for a lot of people who live in apartments or have small yards. That’s where this really cool science trick comes in. 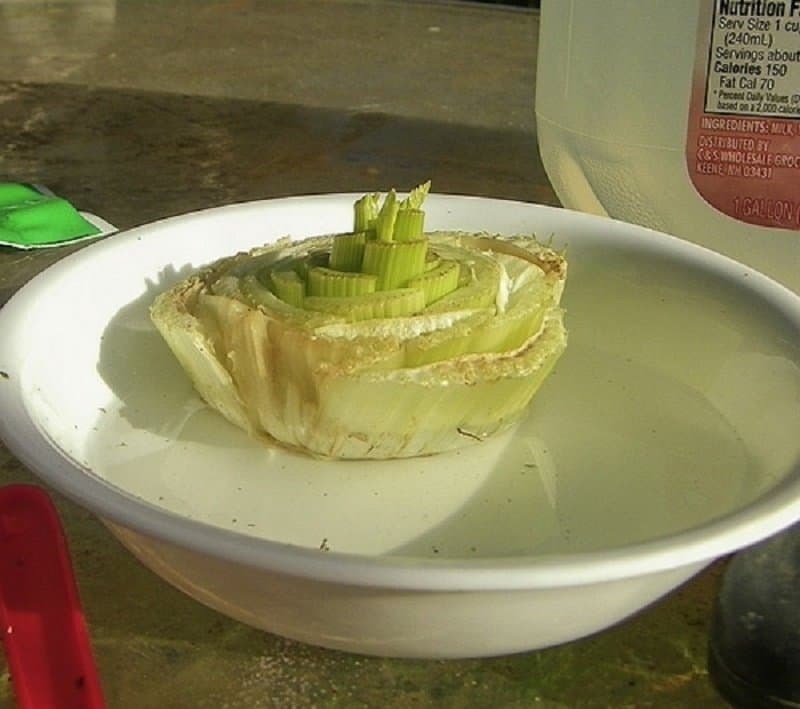 There are actually a lot of different fruits and vegetables that can actually re-grow when placed in water or soil. Obviously, some common sense should be used. For example, make sure that the container is relative to the size of the plant. This list is a compilation of all of the plants that can re-grow when simply placed in water or soil. 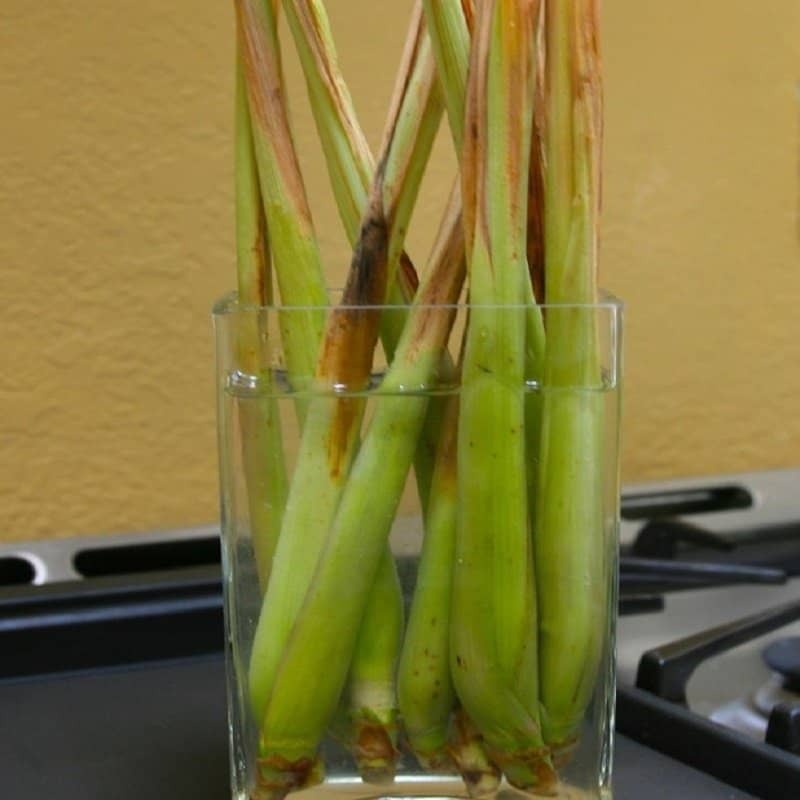 Using the discarded roots of lemongrass, which is typically thrown out as it’s too tough to cook with, you can soak them in water. After about three weeks, you’ll see new lemongrass growing! This one you do actually have to use soil for eventually. After about three days, the plant will stop growing if it is left in just water! 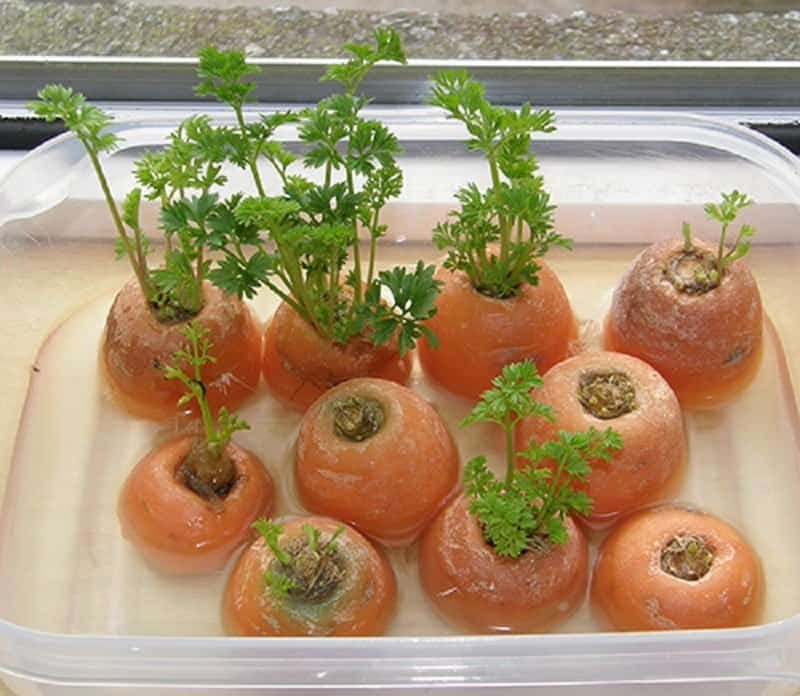 Using discarded carrot tops, which most people cut off and throw out anyway, you can grow carrot greens! 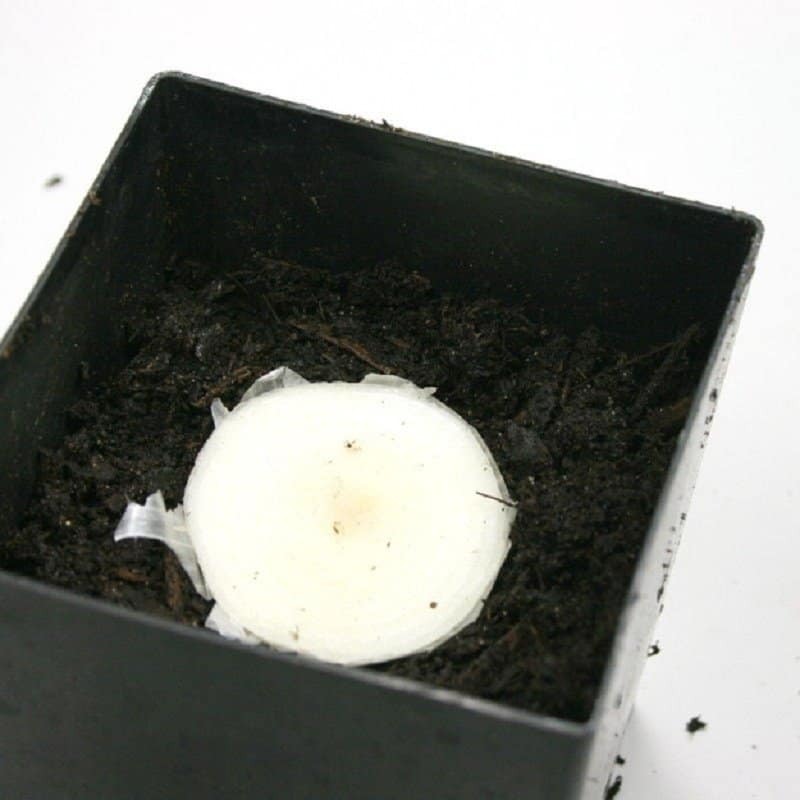 Using the bottom end of an onion and placing it in soil, a new onion will begin to grow. Sounds too easy, right? This one is really neat. 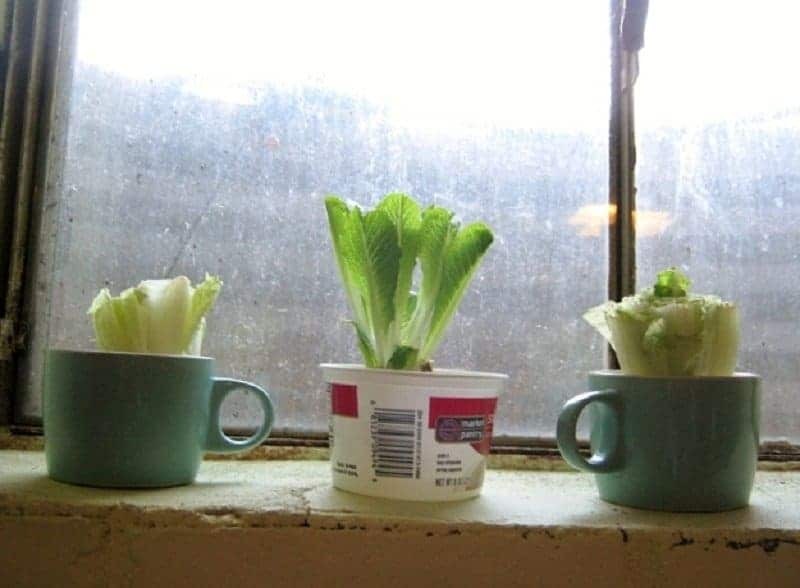 You can actually grow romaine lettuce leaves using the head of an already used lettuce! 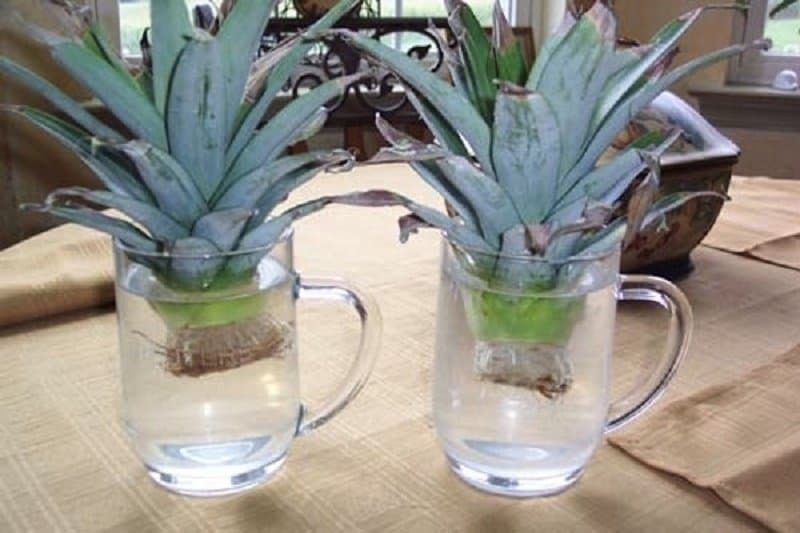 Using just water to do this will yield smaller crops than using soil, but it’s still pretty awesome! 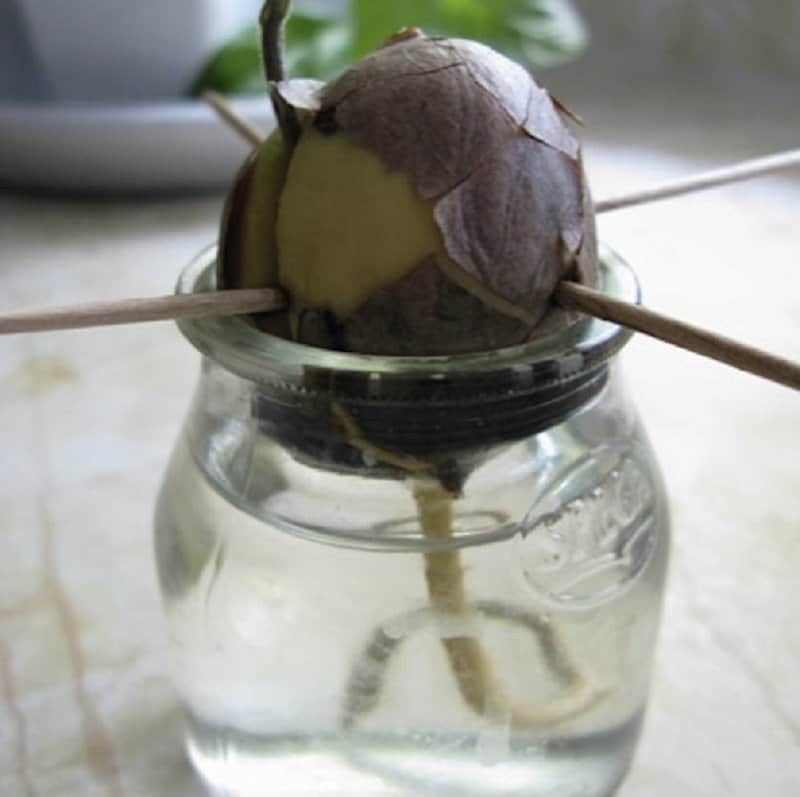 You can literally grow your own avocado tree if you have enough patience, by just using the pit of an avocado. Seriously though, it takes between five to thirteen years before any actual avocados begin to grow, but it’s still a really cool idea. 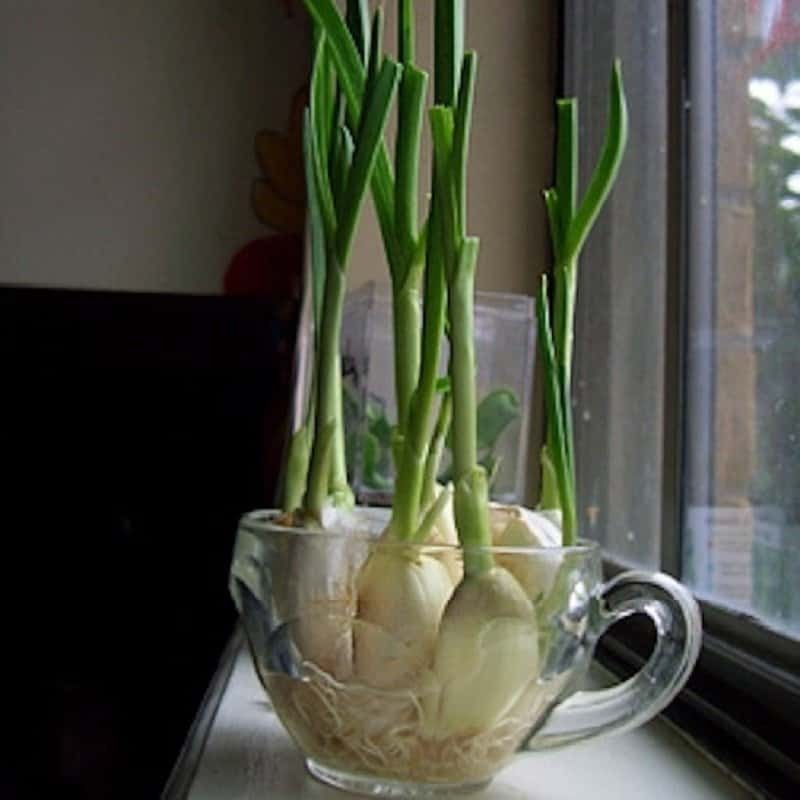 You can use a garlic clove to grow garlic sprouts! 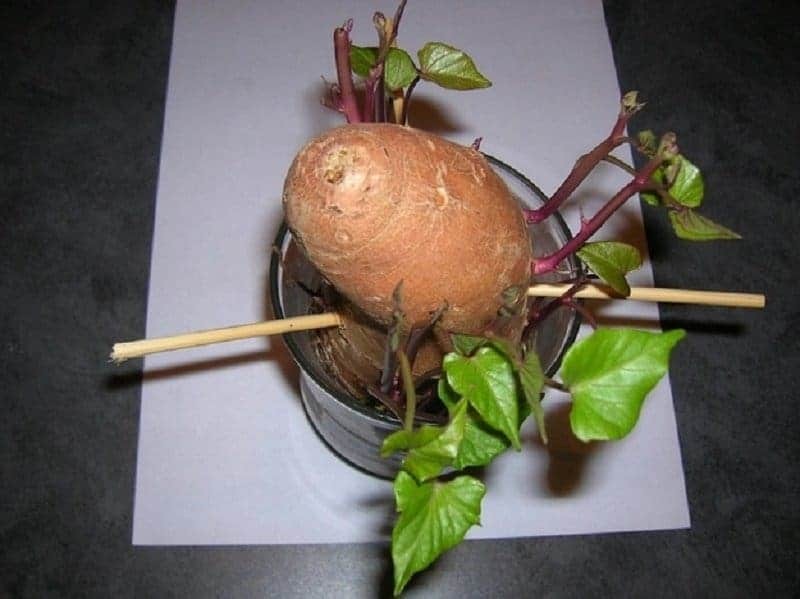 Soaking a sweet potato in water will produce vines that may actually grow new sweet potatoes. 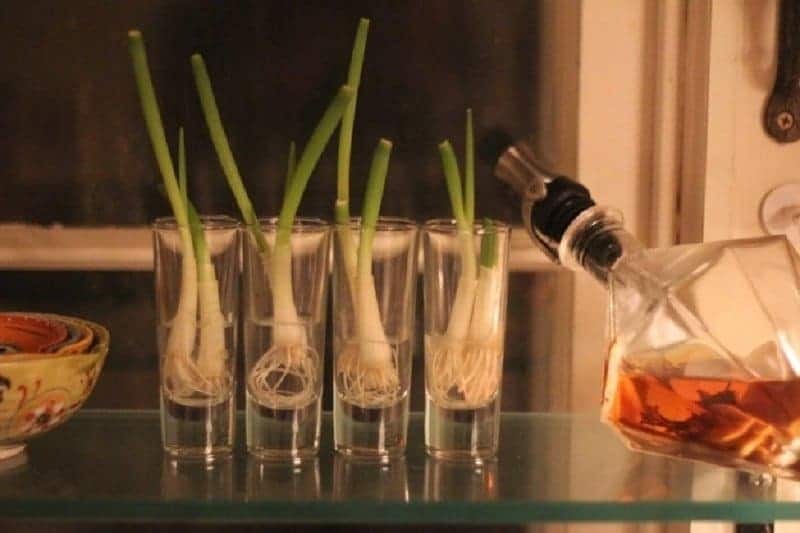 When you place the discarded roots of a green onion in water, they re-grow substantially within a week! Using the crown of a used pineapple, you can actually grow a new pineapple from the old one! However, it can take up to three years.